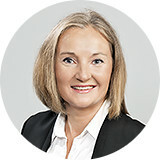 Maria Kalwoda-Guerkan studied international economic sciences with focus on personnel and marketing at the University of Innsbruck. She has years of general experience in human resources management – working among other things as a customer and recruitment consultant as well as in research. Ms. Kalwoda-Guerkan is currently working as key account manager at Iventa International Management Consulting GmbH and supports the division personnel and organisational development in customer service.